Sign Up * Demo * Start your 30 days free trial. Everything that is truly good has a secret. And the best way to discover that secret is to research and experiment. This is how we approach everything we develop at NowCerts insurance agency management system. We are glad to share our quest for the best with our customers and partners every day. Our goal from the beginning was to build an agency management system that is intuitive, secure, and responsive, yet affordable. We also strive to be creative and innovate. 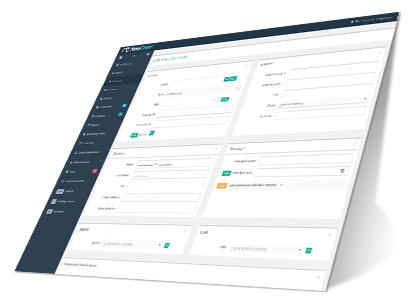 We are not just looking to build yet another management software system, not satisfied to be just better than the competition. We aim to be creative and to bring to our clients innovative solutions that will transform the way they do business. Manage the workflow in their agency, as well as reinvent the way their clients interact with the agency. Other vendors of insurance agency management software take the more traditional approach typical of programmers designed systems – they build software features. We think about the ways our users: agency principals, agents and CSRs approach their day to day workflow requirements and seek ways in which our software can improve these business-driven processes. 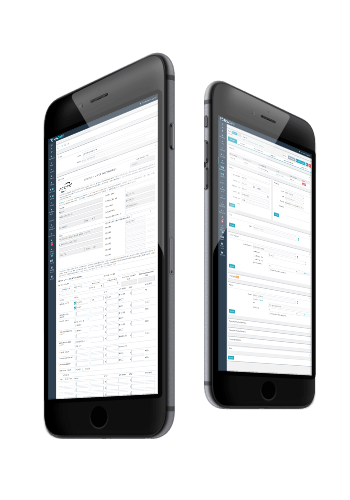 The ultimate goal is to create real and measurable benefits to our users and their clients. With NowCerts agency management system, you won’t need hours and hours of training and instruction. The majority of our users start using the system just minutes after registering without any help from our staff. Designing a system that is intuitive and is web-based has another side benefit. There is no need for complicated and expensive setup procedures. Signing up takes less than a minute and then you are ready to go. You can be assured that just a quick 20-30 minute walk through will be sufficient to make you a near expert on navigating the NowCerts agency management system. This is true regardless of your prior experience with management systems. 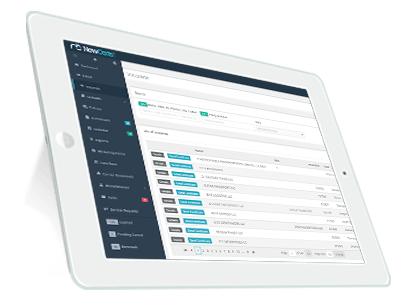 Whether you have never used an agency management system before or have used one of the older, legacy systems for years, you would feel right at home with NowCerts within just a few minutes of logging in. In the event that you do have a question about a particular feature or functionality, one of our friendly and knowledgeable team members will be there to assist you. If you are the self-reliant type, you can use our extensive library of short (2-3 minutes) videos to find the answer to your questions. Not only is NowCerts AMS intelligently designed and engineered, it also includes a number of artificial intelligence features that will increase your Agency IQ. 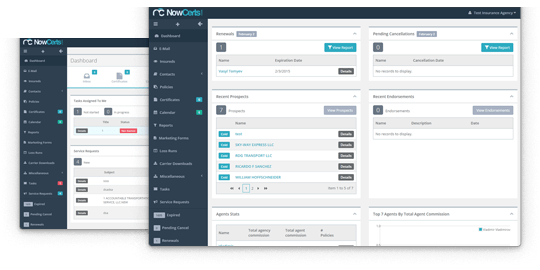 NowCerts will optimize your workflow and improve your business results. Below are some key benefits NowCerts AMS will bring to your agency. What is the purpose of an agency management system (AMS)? The way we look at it, the simple answer is in the name. An insurance agency management system needs to do exactly what the name suggests – it ought to help your agency manage itself better: BE better organized, BE more efficient, BE more effective, BE more profitable – BE a better place for your clients and your staff. NowCerts.com is hosted in a secure server environment that uses a firewall and other advanced technologies such as encryption and authentication to prevent interference or access from outside intruders. Each user in your organization is provided with a unique user name and password that must be entered each time a user logs on. NowCerts.com issues a session "cookie" only to record encrypted authentication information for the duration of a specific session. The session "cookie" does not include either the username or password of the user. In addition, Nowcerts uses the most advanced security methods and techniques to ensure that users can only access data for which they have permissions. NowCerts.com does not use "cookies" to store other confidential user and session information, but instead implements more advanced security methods based on dynamic data and encoded session IDs. NowCerts.com does not sell nor share in any way the information or data added to the system that belongs to its users and their clients. You don’t have to be Gordon Gekko to know what it’s all about. Let’s face it – you don’t bust your behind putting in 12 plus hour days, keeping your customer happy, and your employees feeling fulfilled just to make the world a better place. Sure that is important, but in the end – it’s all about getting paid. Retain your hard earned customers. Build insured loyalty trough increased client satisfaction. Manage properly your renewals. Stay on top of policy payments – avoid nuisance cancelations and reinstatements. NowCerts will help you get better rewards for your efforts and with fewer sacrifices AND increase employee morale and customer satisfaction. You can find some of the ways we will help you accomplish that on the current page. Our Insureds Portal is the best in the class. It offers your insureds various ways to help you manage and service their insurance needs. It allows your clients access to vital policy information and services around the clock and on their schedule. NowCerts offers many ways to stay in touch with your customers and their evolving insurance needs. I own a small agency and nowcerts has been very good for us. I guess the certficates issuing is the best part but also I really like the commission module. NowCerts was originally selected to helped us manage our clients that have large number of certificates of insurance. We have found that this was the easiest system to use. I have been using Nowcerts going on almost 2 years. I took a good 6 months shopping for the right management system. I started from the top systems, all the way down. I find that Nowcert was a fantastic choice for my insurance agency. An agency management system would be useless if your insureds and policy data were not up-to-date. Getting daily (and even real-time) policy updates from your carriers can save your staff thousands of hours in data-entry, allowing them to concentrate on more productive and creative activities, like customer service and sales. 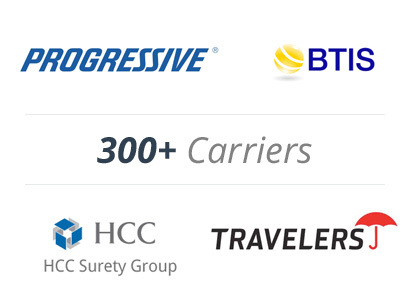 Through business partnerships, NowCerts offers access to policy downloads for over 300 carriers. Talk about working smarter… It also cuts down on E&O risk. Best of all, it’s nearly free. Once you sign up for the carrier download service, adding new carriers does not add additional costs. If you do not use carrier downloads now, we will help you get set up with then free of charge. 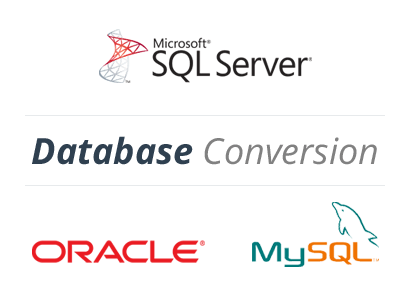 Our free database conversion services will make the transition from your current AMS to NowCerts a hassle free and seamless experience. In the course of doing a multitude of actual database transfers, we have developed procedures for database transfers from all major AMS systems in use today. With every consecutive AMS database transfer, we are further perfecting the process, automating larger portions of the steps involved via scripts and SQL procedures. We will build a parallel database in Nowcerts that you will have the chance to test and make sure is built to your complete satisfaction. We won’t charge you a dime until you are ready to make the switch, and we will never pressure you to do so. Our unique Loss Runs Module reduces the time to obtain a commercial insurance quote. Beat the competitions and increase sales. 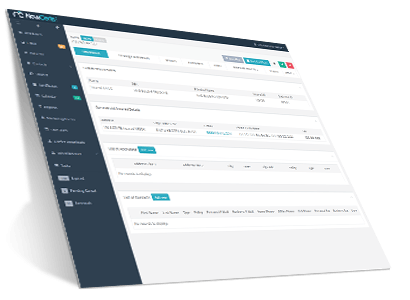 Integration with multiple independent industry-leading comparative raters provides your personal lines producer multiple competitive quotes from a single application. All this adds up to focused prospect management. 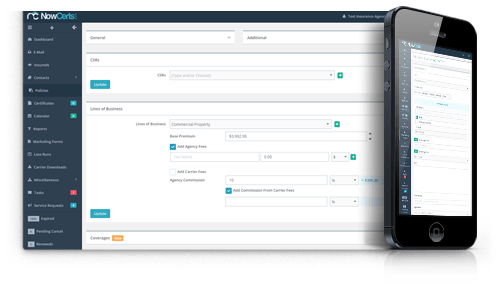 NowCerts prospect management process will help you track the progress of how your agents acquire and manage prospects more intelligently. We all know the reality – we get so busy and pulled around in a thousand directions, things tend to fall through the cracks. Unfortunately, putting out fires for existing customers often takes precedence at the expense of following up on the new leads. Not having the time to follow up on your leads is like throwing money away. Through automation and common sense, NowCerts gives you the tools to manage your leads effectively through the quoting process to a successful close. The NowCerts common sense approach will significantly boost your closing ratios. Accomplish more with less effort. Get it done faster and be more productive. Freedom to Roam – NowCerts is a true cloud based system. All you need to get your work done is a device connected to the internet. You could be getting work done from a swim-up bar somewhere in Tahiti. Wouldn’t that be nice?! Not that we condone such behavior, but you COULD IF you wanted to. Then again – we hope you don’t waste your time in Tahiti doing work. And with all the time-saving and work-sharing features NowCerts offers – we are confident that you would never have the need to do work should you be so lucky as to find yourself sipping margaritas on a tropical beach. Data-driven management approach. Management experts agree that the most successful and best-managed companies are those whose processes and decision-making are data driven. NowCerts keeps track of every little transaction that goes on in your agency and stores it in your database. With powerful tools like ad-hoc reports and a long list of custom reports you can track and analyze work-loads, tasks completion patterns, sales statistics, insured segmentation for cross-selling and marketing, loss ratios, carrier analytic to name just a few areas where analyzing your agency transaction data stored by NowCerts can help you identify areas of strength to lean on as well as areas that need improvements. 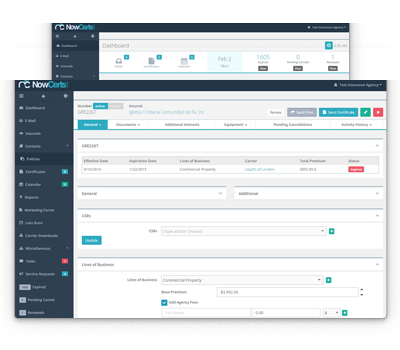 NowCerts will help you stay organized and improve your workflow management. You will never have to lose an account again because you or your staff lost track of an upcoming event. We will remind you (and your insured if you choose) when a policy has a payment due, when a renewal is coming up. 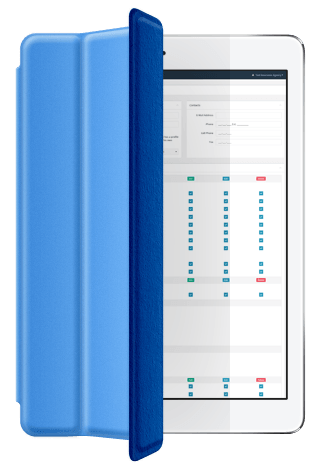 It gives you a real-time bird's-eye view of what is going on inside your agency and will help you keep your finger on the pulse of your organization. Whether you are a one-person army or a multifaceted organization with multiple office locations and multi-product lines, NowCerts empowers you and your staff to be in charge of your day-to-day operations as well as your long-term goals.